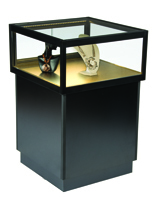 Place one or more of These Jewelry Cases on a Showroom Floor and Watch Your Store grow Popular! Buy These Cabinets for Gifts and Leather Accessories Today! The Tempered Glass is Super Durable! 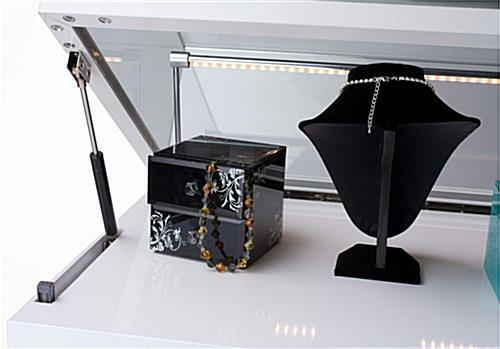 These jewelry cases with LED lights are easy to open from the top via gliding hydraulic lift technology. These featured items in the Grace Tyler display series can be selected as a single unit for a small gallery, or mixed and matched with others to create a full showroom. These accessories, also known as jewelry cases, have LED lighting, which lasts 5x as long as halogen and reduces the carbon footprint! 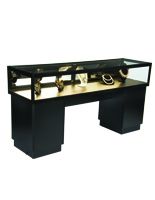 These hydraulic lift display stand tools help you create a high-end shop for leather goods or fine jewels! 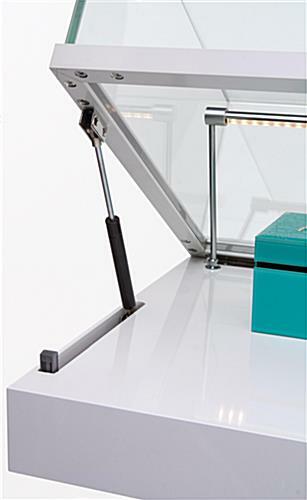 Priced a little higher than most comparable units, these light box collection tools, such as jewelry cases, cabinets for gifts have the LED lighting that make these units well worth the price. 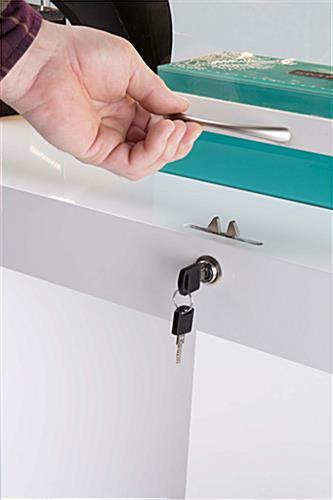 These cabinets with a easy to open with a key because the technology helps the glass doors glide open effortlessly in your busy shop; whether they come on travel or locally, they will appreciate how fast they are waited on. Since LED light strips are superior to halogen in terms of how long they last and the smaller carbon footprint, these units have many features to recommend it. 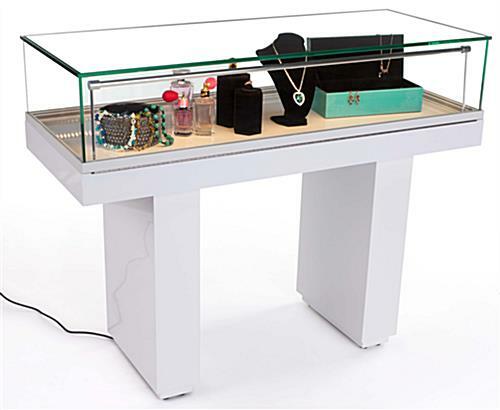 These jewelry cases that are finished in high-gloss white are a modern looking part of this state-of-the-art collection. Store merchandise safely within your store without removing it from the sight line of your customers! 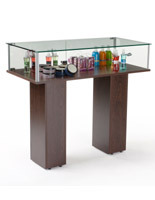 The tempered glass adds an attractive green hue through which customers can peruse the merchandise on these display stand fixtures with a hydraulic lift. 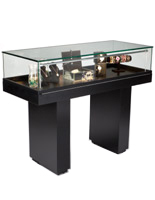 These jewelry cases for leather, watches and other accessories or gifts are great for gallery spaces, shop fronts and retail showrooms or even for tourist destinations and travel spots. Buy one or more fixtures from this collection, today!